Foundation Chiropractic Co. - ***COLOURING CONTEST GIVEAWAY! Enter for your chance to win 4 FREE tickets to your choice of African Lion Safari, Aerosports Trampoline Park Oakville, Wet and Wild Toronto, or Ripley's Aquarium of Canada. 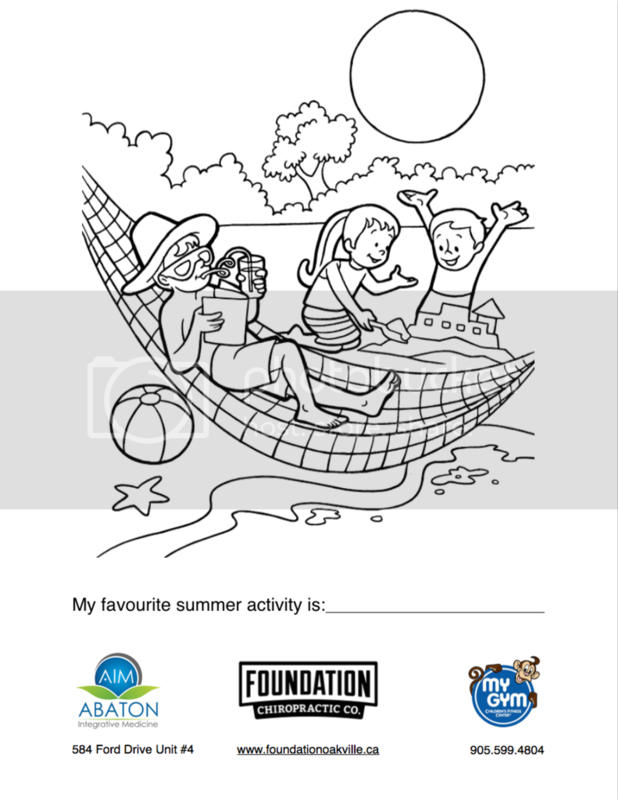 Download our summer colouring sheet from this blog post! Let your child colour the picture… the more creative the better! Snap a quick picture of your child and their finished work of art, upload it to Instagram or Facebook and tag us in the post! The winner of the contest will be drawn on July 31, 2017 and announced / tagged on our social media accounts. In addition to your family passes, you’ll also get some bonus swag! ***CLICK HERE to download and print your colouring form! Or simply right click the image below, save image to your computer, and then print it off!